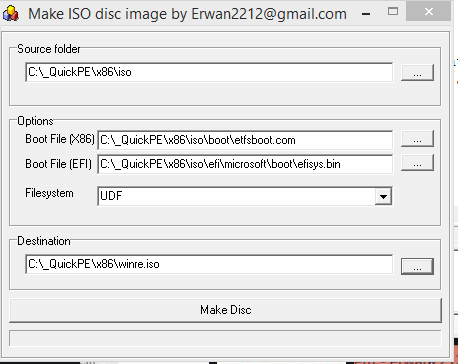 MakeIso will create an ISO from a source folder. Supports multi-boot iso : x86 and EFI. Support ISO9660, UDF, Joliet or any combination of these 3 filesystems. Supports isolinux (checksum will be taken care of). Mkiso is native (no external dependencies), standalone, built in on windows builtin imapi2. MkIso is also part of CloneDisk. Questions, feedback, requests welcome here.